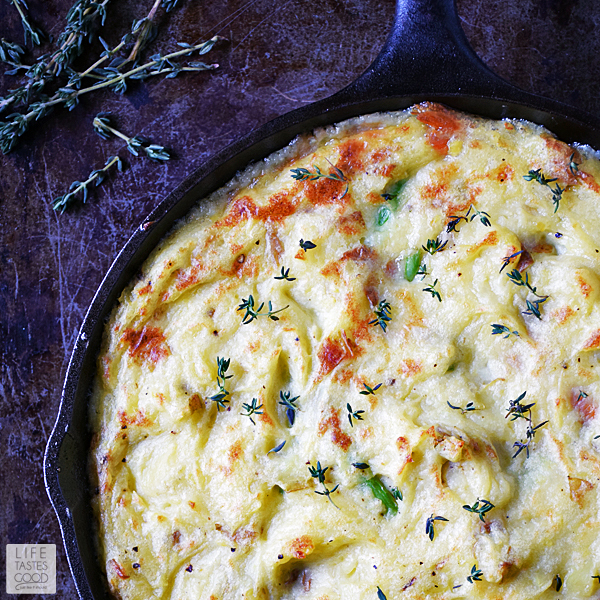 Skillet Shepherd's Pie is a meaty, savory, comfort food classic dish cooked in a skillet for an easy recipe ready in just 30 minutes! This recipe uses fresh ingredients for maximum flavor the whole family will love! This week the #SundaySupper Tastemakers are bringing a huge variety of pie recipes to the family table! Sweet or savory, bake or no-bake, you are sure to find a recipe to satisfy your pie cravings! Get your pinning fingers ready and scroll down past my recipe to add your faves to your must-make Pinterest board! 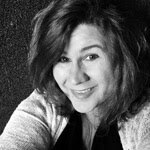 A big thank you goes out to our amazing host, Erica Acevedo of The Crumby Cupcake, who made this event happen! Shepherd's Pie, also known as Cottage Pie, is a meat pie with vegetables and a mashed potato crust on top. Normally it is made in a casserole dish, but I've found making it in a skillet is quicker and easier. I like that! I tend to fall back on my cast-iron skillet to make quick work of classics like my Chicken Cordon Bleu Pasta Recipe. 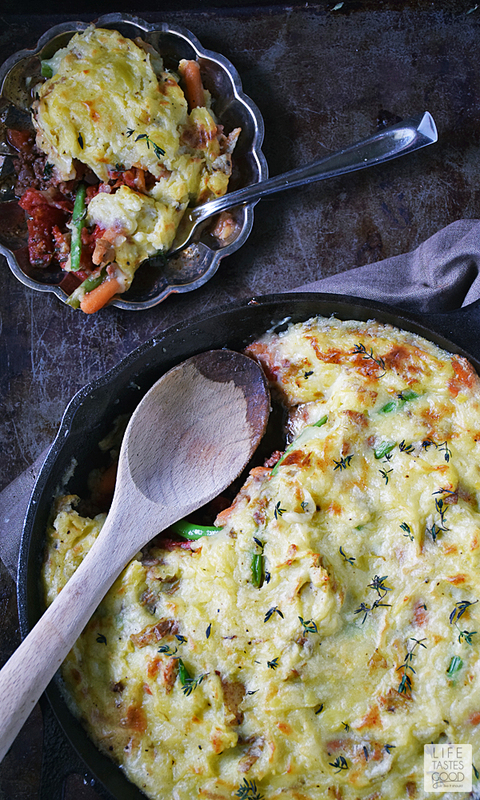 Similar to this Shepherd's Pie, it has all the basics of the classic dish, but made quicker and easier in a skillet. Traditionally, Shepherd's Pie is made with lamb and Cottage Pie is made with beef, however, no one told my mom that! Growing up my mom would make 'Shepherd's Pie' and it was always made with ground beef, so that's how I do it too. Besides, lamb is more expensive and not always available. 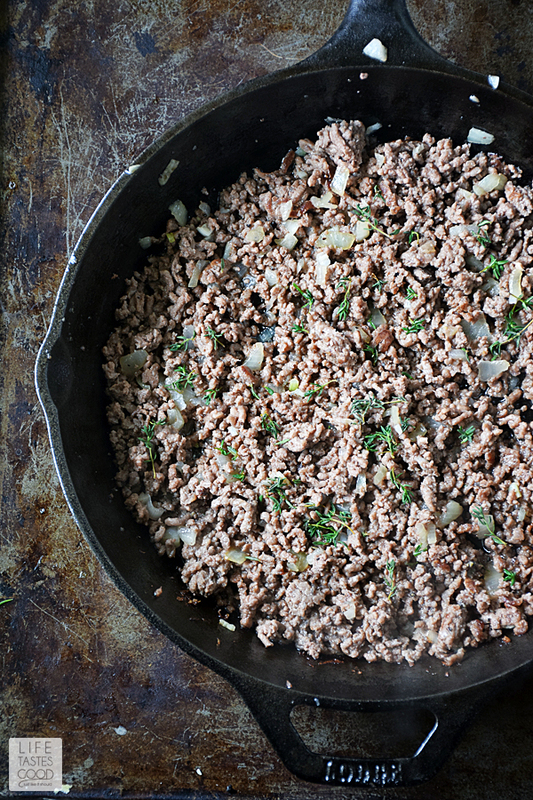 Using ground chuck helps to keep this easy recipe a budget-friendly family favorite! 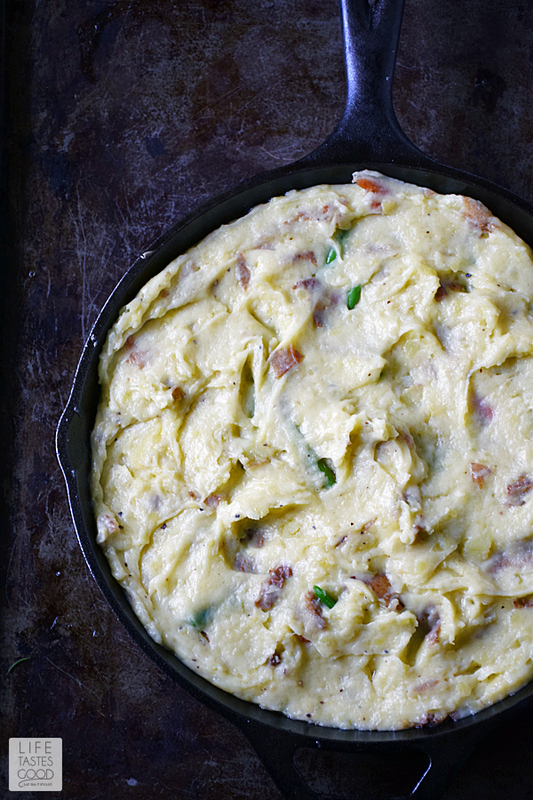 If you have leftover mashed potatoes they make this recipe even quicker and easier. Sometimes I'll plan ahead and make extra mashed potatoes to save for making my Skillet Shepherd's Pie later in the week, and to have on hand to make my Chicken and Waffles Poutine. Planning ahead is a good thing!! Otherwise, I start this recipe by whipping up some mashed potatoes. Don't bother peeling the potatoes, just scrub them. The skin is good for you, so go ahead and keep it on the potatoes! Place cubed potatoes into a stock pot and add enough water to cover. Add 3 cloves garlic and 1/2 tablespoon salt to the water. Bring to a boil over mid-high heat. Reduce the heat just enough to maintain boil, but not boil over. Boil until potatoes are fork tender, about 10 minutes. This time will vary depending on the size of your potato cubes. 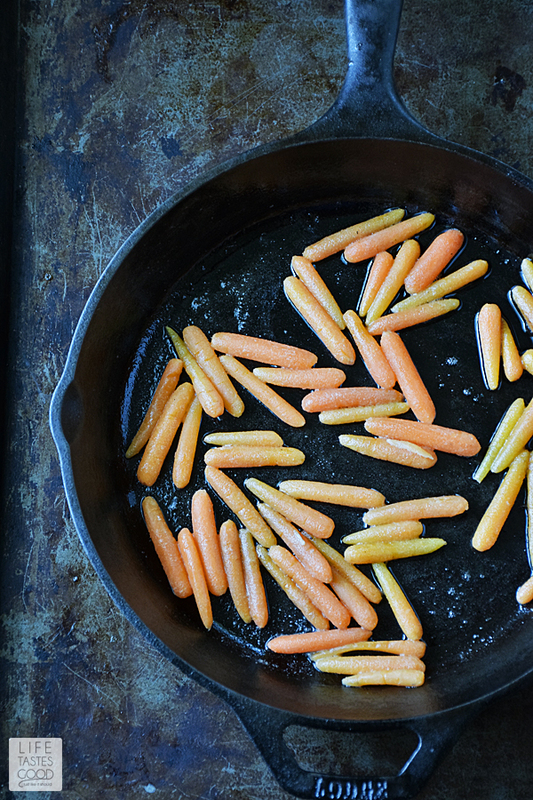 While potatoes are boiling, melt 2 tablespoons butter in a skillet over medium heat and cook 1 cup baby carrots for about 3 minutes until they start to soften. Add 1/2 pound green beans and cook another couple minutes until they begin to soften. You still want a little crunch to them. Sprinkle on salt and pepper to taste. Remove from the skillet and keep warm. Pre-heat the oven on hi-broil. Turn up heat to mid-high on the skillet and add 1/2 pound ground chuck. I place the beef in the skillet whole and allow the one side to sear for about 5 minutes until it develops a nice crust. I use this technique to sear ground beef all the time. You can see photos of this process by clicking over to my Cheesy Baked Ravioli Skillet recipe for a visual reference. When the beef is nicely seared on one side, flip it over and break it up into ground beef. Season with 1/2 teaspoon kosher salt, 1/4 teaspoon pepper, and 1 teaspoon fresh thyme leaves. Add 1/2 cup onions and 1 teaspoon freshly minced garlic and continue cooking, breaking up the meat, until it is cooked through and no longer pink. Most of the liquid will evaporate. Drain if needed. Add 14.5 ounce can of diced tomatoes with the liquid and heat through. If fresh tomatoes are readily available, I use 2 cups of freshly diced tomatoes. 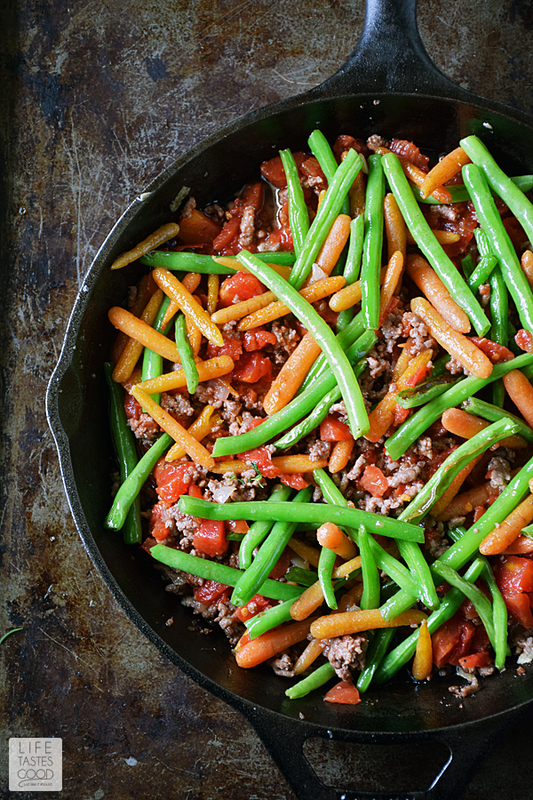 Mix the carrots and green beans into the meat and tomatoes in the skillet and heat through. Remove the meat and vegetables from the heat and spread the reserved mashed potatoes on top, being sure to get all the way to the edge of the skillet. Place the skillet under the broiler to brown the mashed potatoes slightly. Remember to leave the oven door ajar when broiling. Broil until the potatoes are browned to your liking, but be sure to watch them closely as they will burn quickly. This should only take about a minute or two. Remove from the oven and garnish with fresh thyme leaves. Enjoy! Don't bother peeling the potatoes. The skin is good for you, so go ahead and keep it on the potatoes! Place cubed potatoes into a stock pot and add enough water to cover. Add 3 cloves garlic and 1/2 tablespoon salt to the water. Bring to a boil over mid-high heat. Reduce the heat just enough to maintain boil, but not boil over. Boil until potatoes are fork tender, about 10 minutes. This time will vary depending on the size of your potato cubes. While potatoes are boiling, melt 2 tablespoons butter in a skillet over medium heat and cook 1 cup baby carrots for about 3 minutes until they start to soften. Add 1/2 pound green beans and cook another couple minutes until they begin to soften. You still want a little crunch to them. Salt and pepper to taste. Remove from the skillet and keep warm. Pre-heat the oven on hi-broil. Turn up heat to mid-high on the skillet and add 1/2 pound ground chuck. I place the beef in the skillet whole and allow the one side to sear for about 5 minutes until it develops a nice crust. Then flip it over and break it up into ground beef. Season with 1/2 teaspoon kosher salt, 1/4 teaspoon pepper, and 1 teaspoon fresh thyme leaves. Add 1/2 cups onions and 1 teaspoon freshly minced garlic and continue cooking, breaking up the meat, until the meat is cooked through and no longer pink. Most of the liquid will evaporate. Drain if needed. Add 14.5 ounce can of diced tomatoes with the liquid and heat through. 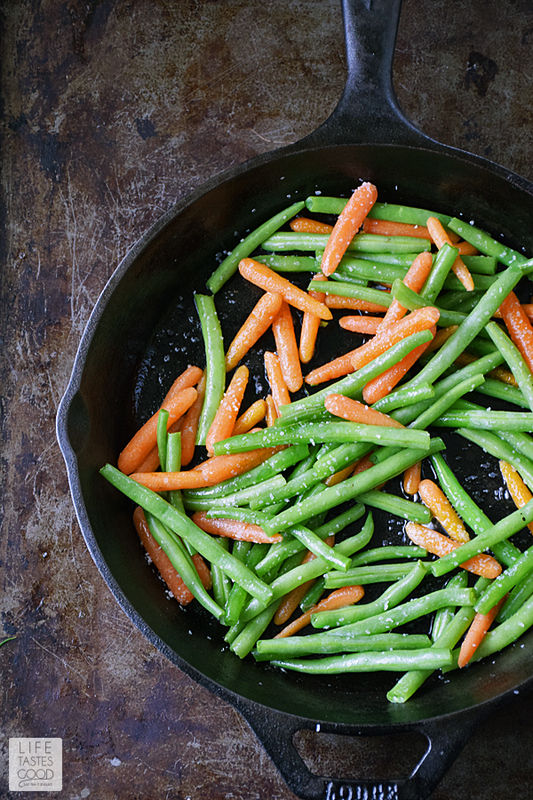 Mix the carrots and green beans into the meat and tomatoes in the skillet and heat through. Remove from heat and spread the reserved mashed potatoes on top of the meat and vegetables in the skillet, being sure to get all the way to the edge of the skillet. Place the skillet under the broiler to brown the mashed potatoes slightly. Remember to leave the oven door ajar when broiling. Broil until the potatoes are browned to your liking, but be sure to watch them closely as they will burn quickly. This should only take about a minute or two. Remove from the oven and garnish with fresh thyme leaves. This is such a delicious dinner! do you drain the ground beef before adding the tomatoes? There is nothing better than being able to do everything in a cast-iron skillet! What a great dinner option! I make my shepherd's pie with ground beef, too! I'll try it in a skillet next---yours looks fabulous!! I love that you leave the veggies whole. Great texture contrast. 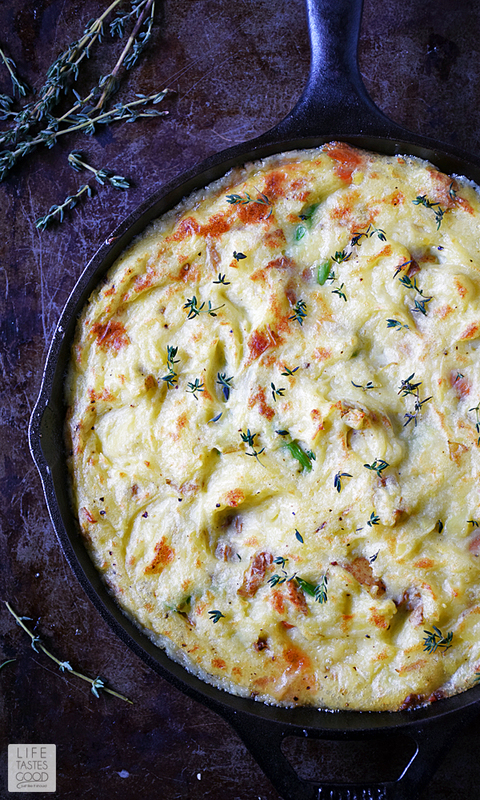 And your mashed potato topping is stunning. I think most Americans call all versions Shepherd's pie, except for the food police. LOL! I can't remember if I commented before... Anyway! It's absolutely delicious and I love the cast iron skillet implementation. I made it for a pot luck a few days ago (2nd time making it) and it was a complete hit. Making it tonight to use up the ground beef, and because it's just so darn fine! :D Thanks for the recipe!